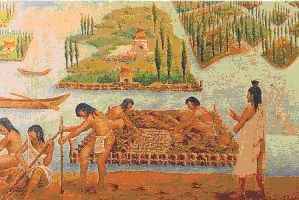 Long before the Spanish conquest of Latin America, Organic Chia Seed, like corn and beans, were the staple food in the Aztec and Maya diet. Chia has been given its name from the word that means "strength" in the Mayan language. The Aztecs called it "runners-food", because it was known for increasing energy levels in people, and giving more stamina for the physical activities of the warriors. The vast majority of the evidence shows that people around 3500 BC. Organic Chia Seed started to be used. Aztecs and Mayas regularly consumed Organic Chia Seed, and ground them with flour, pressed them for oil and drank it mixed with water. In this period in history, Organic Chia Seed were considered almost magical because of their ability to increase endurance and energy over a long period of time. After the Spanish conquest of Latin America, Organic Chia Seed and its benefits were somewhat obscured because the Spaniards introduced their own food and banned its cultivation. Now that modern scientists and nutritionists are discovering the extreme shortage of certain nutrients in the western diet, they look back in history for natural solutions, including Chia. Because of this, it becomes popular again and the benefits for the modern western world become known. Organic Chia Seed is among the most healthy food on the planet. It is packed with nutrients, which can have important benefits for your body and brain. Organic Chia Seed contain 8 times as much Omega-3 as salmon, 9 times as many antioxidants as oranges, 4 times as much iron as spinach, 5 times as much calcium as whole milk, 15 times as much magnesium as broccoli and 4 times as many soluble dietary fibres as linseed. They absorb up to 12 times their own weight in water. Dr. Oz of the Oprah show said,"It is one of the healthiest foods on earth". That's really impressive for such small seeds, don't you think either? The seeds themselves are indeed very small and come in two general colour variations: black and white. Although some people say that there are differences in the health benefits of these two species of Organic Chia Seed, research suggests that the differences in nutritional value between the two seeds are rather small, and depend more on the soil on which the plant grows than on the colour of the seed. Yet some people claim that the white seeds (also known as Salba) contain slightly more protein than the black seeds, while the black seeds have a slightly higher fibre content. Discover for yourself how well Organic Chia Seed your body does! 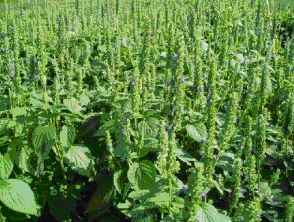 The Organic Chia Seed comes from a plant that is part of the mint or Lamiaceae family, and although there are different types of plants with Organic Chia Seed, the most common plant sold is Salvia hispanica. Make sure you don't buy the Chian Chia, because they are less rich in food sources. Salvia hispanica is a small, annual, dry-tolerant, flowering herb that thrives well on sandy, fertile soils. 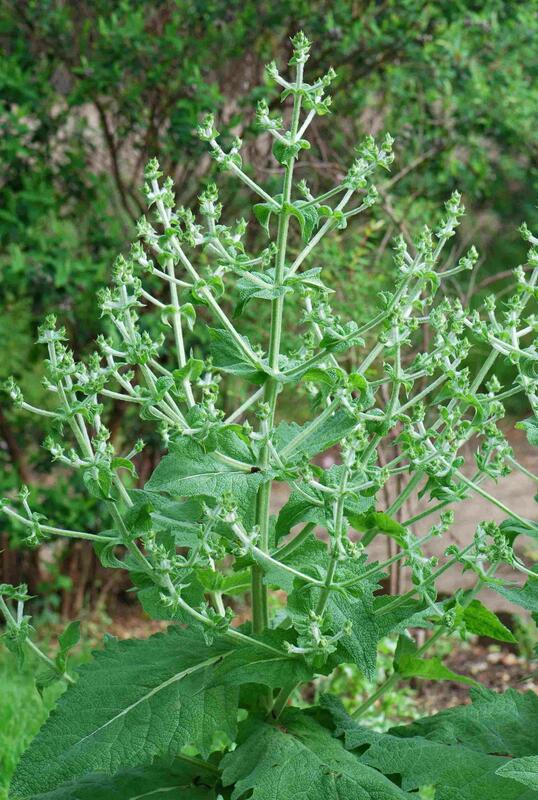 The plant reaches a height of about one metre and carries wide, green leaves with serrated edges. White, purple or pink-wrinkish-wrinkle purple flowers appear about 4 months after sowing. As You probably already know, we should inform You that no scientific research has been done, and therefore we should not suggest that consuming Organic Chia Seed can replace a diet or medication prescribed by the doctor. Consult Your doctor before You make drastic changes to Your diet, but because we know that You are a very health-conscious person, of course You decide what You eat Yourself. Okay, it's one of the oldest Superfoods, but did it really give the Aztec warriors more energy and stamina? Do they have other advantages? What makes Organic Chia Seed so great? Let's answer this by looking at the nutritional value of Organic Chia Seed and how this is linked to their benefits. See next page.